ASP.Net MVC 4 hosting that’s fast, secure, and smart enough to come from ASPHostPortal. Get the power of ASP.Net MVC 4 with the ease of fully-managed hosting and security. ASP.NET MVC 4.0 is a framework for developing highly testable and maintainable Web applications by leveraging the Model-View-Controller (MVC) pattern. Asp.net mvc 4 is built on Asp.net 4.0, developers can take advantage of existing Asp.net features like authentication and authorization, profile settings, localization etc. Stop looking for MVC 4.0 Hosting. 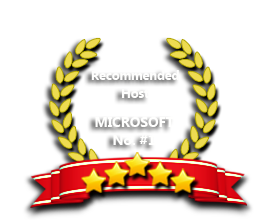 ASPHostPortal.com offers Microsoft MVC 4.0 hosting service. To host your MVC site on our windows hosting environment, you just need to upload the MVC assemblies to your bin folder. The components of the ASP.NET MVC frameworks are designed so that they can be easily replaced or customized. You can plug in your own view engine, URL routing policy, action-method parameter serialization, or other components. ASP.NET MVC comes with a powerful URL-mapping component that lets you build applications that have comprehensible and searchable URLs. URLs do not have to include file-name extensions, and are designed to support URL naming patterns that work well for search engine optimization (SEO) efforts and representational state transfer (REST) patterns. Our Windows Cloud Hosting fully supports ASP.NET MVC 4.0 hosting. You are more than welcome to try our Free Windows Cloud Hosting before you decide to buy. You can get your Free Cloud Windows hosting account up and running within the next few minutes.